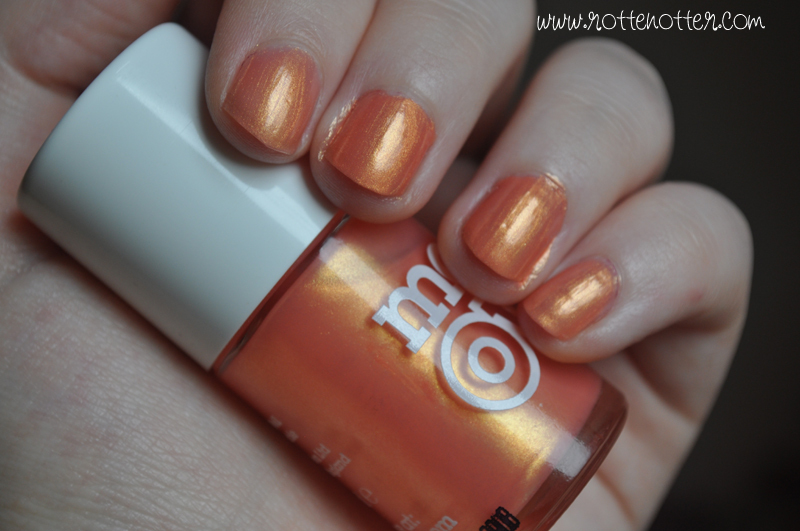 For the past month or so I've been on the hunt for the perfect peach/apricot nail polish but I don't think this is it. It's a really nice colour but I think the yellow-orange shimmer is too over powering making it less peach. Application was good but it's not opaque enough for me. That colour is gorgeous. My, I haven't worn nail varnish in so long, I think I'm too impatient for the application. I need to apply some though so I can stop biting my nails. I was exactly the same about this! I really thought it was going to be stunner but alas! The hunt still goes on.